The pro-democracy group said it was pulling out after the country’s government announced restrictions on non-profit organizations under a law dubbed the "Stop Soros" bill. 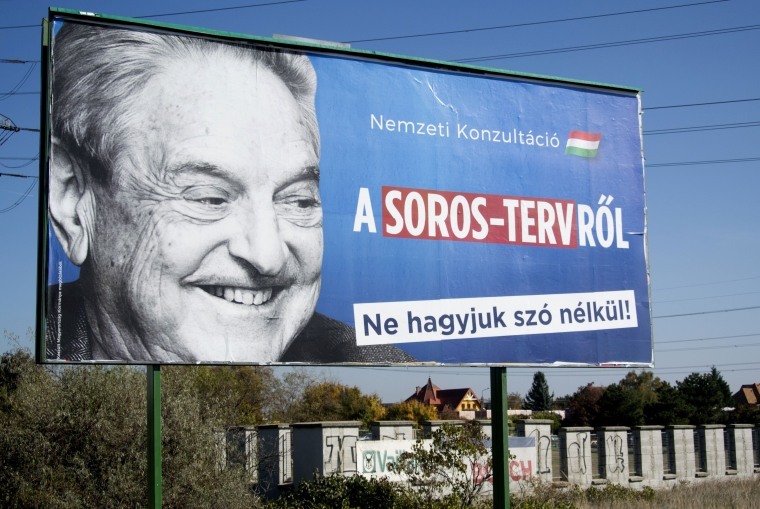 Soros' Open Society Foundations (OSF) organization said it would continue to support human rights work in Hungary as well as projects linked to arts, media freedom, transparency, education and health care. "The government of Hungary has denigrated and misrepresented our work and repressed civil society for the sake of political gain, using tactics unprecedented in the history of the European Union," OSF president Patrick Gaspard said in a statement. Opposition and rights groups have long said that a departure of the OSF would mark a milestone in a slide towards authoritarian rule in Hungary and go against the principles of the European Union — a charge dismissed by the government. Open Society said the campaign had "invoked anti-Semitic imagery from World War II." The government has repeatedly denied this. The legislation is expected to be one of the first laws passed by the new parliament. It would allow the interior minister to ban any non-profits deemed to pose a "national security risk." It would also impose a 25-percent tax on foreign donations to non-profits that back migration.